The problem to be solved is full and empty buses going to the same place at similar times and the inadequate use of physical money on buses. Partnership with EMTU, serving 133 cities; involving 28 million inhabitants; 900 buses; and annual circulation of 618 million passengers. With a biometric camera integrated to an embedded board it is possible to identify the passengers who embark and/or disembark from the bus. With the information of the number of passengers obtained by the hardware, this data is sent to the app of the future users, in real time. With the hardware data, we feed our software that allows managers to understand in real time the movement of people in public transport. Through the software, we developed a dashboard capable of generate a routing system, heat maps and strategies for public transport managers. 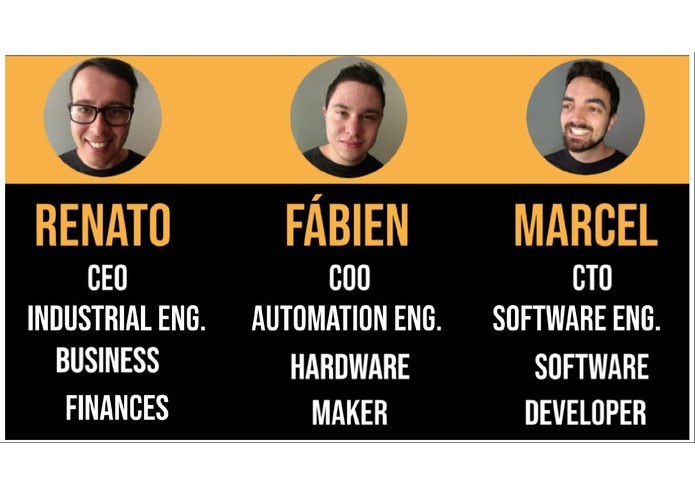 The Milenio Bus team is formed by 3 Engineers, each one having a function correlated with the project, forming an ideal and complement team. Urban mobility is an attribute associated with people and economic actors in the urban environment who, in different ways, seek to meet and meet their displacement needs for daily activities such as work, education, health, leisure, culture, etc. To fulfill this objective, individuals can use their direct effort, resort to non-motorized or motorized means of transportation (CREA-PR, 2016). The issue has been gaining more and more discussion in the public sector and outside it, given the chaos that has been transforming the traffic of cargoes and people in the big and medium Brazilian cities. Two factors contributed decisively to the urban mobility crisis currently experienced in Brazil: the very low level of public investments in the urban transport sector in the last 25 years, a period that coincided with the highest growth rates of the urban population in Brazil, which increased from 80 million in 1980, to 153 million inhabitants in 2008 (data from the IBGE and PNAD, respectively), and the economic growth verified in the last five years, which increased the mobility rate of people and cargoes in the cities. 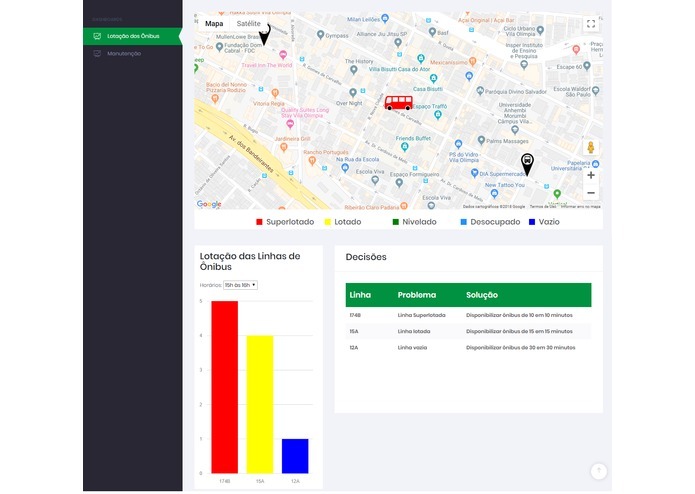 The problem that the project Milênio Bus seeks to solve is overcrowded buses, so it is expected that by obtaining the number of passengers in real time with our hardware and software, we can provide both passengers and urban mobility managers with the information for the take decision-making. It is evaluated that obtaining such data, besides improving urban mobility in the public bus segment, allows: to explore the population dynamics, to impact the environment, to measure displacement trends and to evaluate social behaviors. The target audience for the solution are bus companies and concessionaires (private and public). Its main demands are to provide greater comfort, safety and fast passenger movement. This demand is due to the decrease in the use of buses by the population, due to the increase of the use of cellular applications that provide new forms of displacement within the cities. 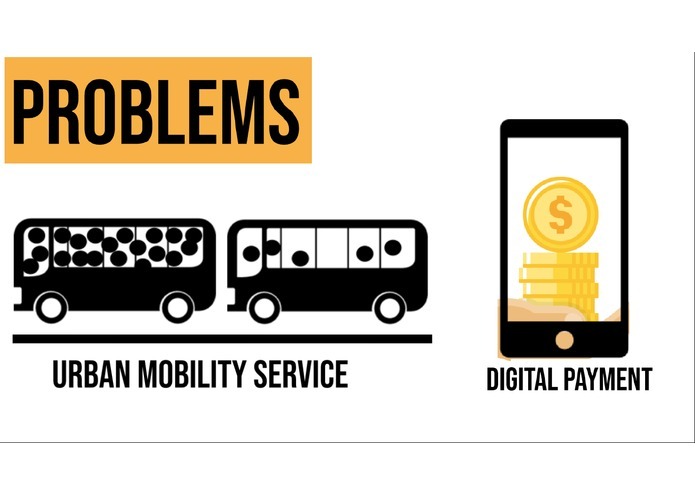 With the focus on innovating in the public bus sector (which is still the main form of society's displacement), bus companies and urban mobility managers evaluate that offering such service to passengers would be something that would show how much this segment is evolving, according to the digital demands. In addition, the use of the system generates ways of reducing the cost of transporting passengers, since the leveling of the volume of people in the vehicles provides a longer bus life cycle, less fuel costs (supercharged people spend more fuel), real-time flow that allows the best use of a particular vehicle model, transparency in the rendering of public accounts and improvement of the company's image with society. For the passenger, providing the decision making of which bus has fewer people, can be guaranteed: comfort, safety and a rapid displacement of public transportation. 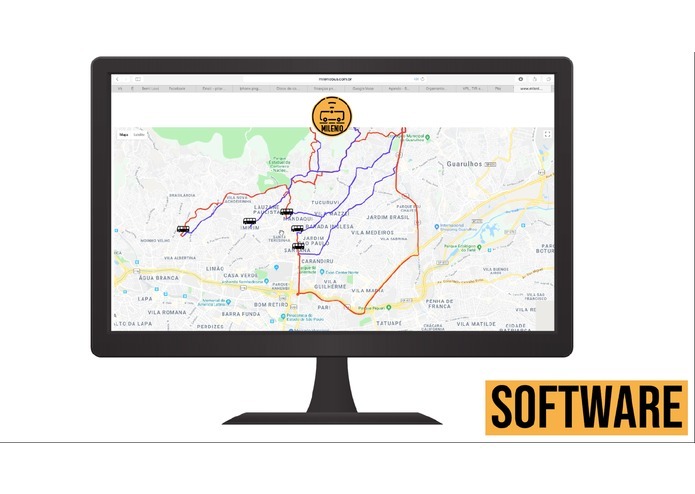 The proposal of the Milênio Bus for this announcement is to develop an Internet of Things (IoT), Artificial Intelligence and Computational Vision solution for real-time counting of the flow of people on buses. Thus, we seek to develop 3 products: hardware, application and software. The algorithm present in our hardware, when obtaining the data collected by the cameras, processes the number of people and shoots the information in real time for future users and for the bus companies, thus it is possible to level the flow of passengers, insert a new one vehicle in the critical line or even diagnose that in a particular region / hour / line bus availability may be lower or higher. Having real-time information on the number of passengers solves the problem and indicates an opportunity. The biggest challenge we face is in the development of technology. Because it is the most advanced current technologies, such as IoT and Artificial Intelligence. The passenger counting system is based on artificial intelligence. 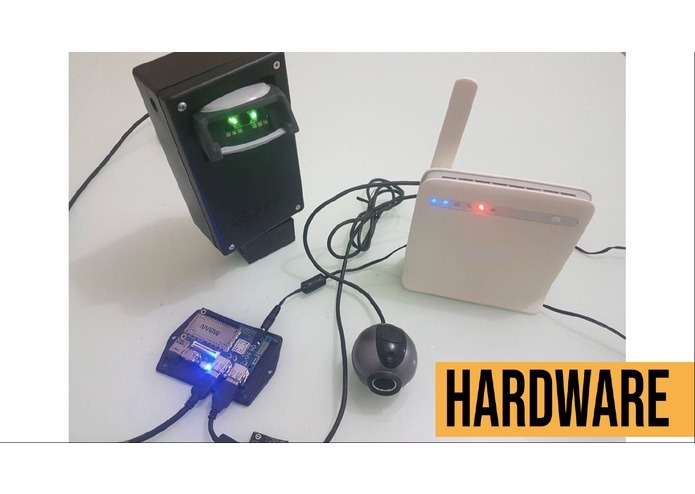 We use an integrated dataset with hardware / IoT. Based on this dataset, we work on the implementation of OpenCV through OCR (Optical Character Recognition) technology, where it is possible to perform the real-time counting of passengers on the bus by the recognition of biometric cameras. I believe that the Mobility and Transport ecosystem in Brazil needs a lot of technology, as well as being a very closed market for the implementation of new technologies and innovation. So with our solution and other solutions that are emerging for the industry through events like this, it will be very important to join forces and bring innovation to the industry. I am convinced that we will add a lot to the industry and be able to show the ways of technology and innovation for those in charge and enthusiasts of the area. 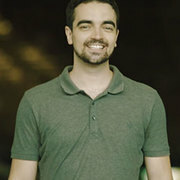 The founders of the Project Milênio Bus are engineers who have had experiences with other startups and know of the importance of contributing tips to other startups that will emerge as well as to the evolution of the ecosystem. Currently, the project is in partnership with the Metropolitan Urban Transport Company of the State of São Paulo (EMTU). This is the company with greater access to cities and people in Brazil. 133 cities are served which involves about 28 million inhabitants. 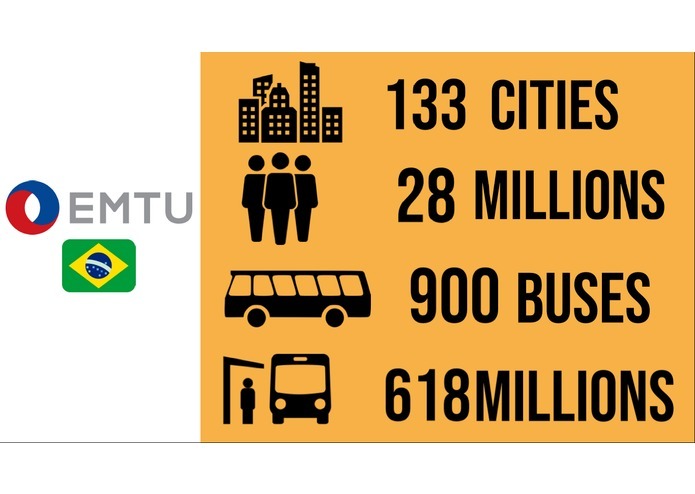 In 2016, about 610.8 million passengers circulated on the EMTU buses. In addition, the project is incubated in MobiLab (Innovation Laboratory in Urban Mobility of São Paulo City Hall), and has direct contact with SPTrans (São Paulo Transporte S.A.), which has a fleet of more than 14,000 buses. 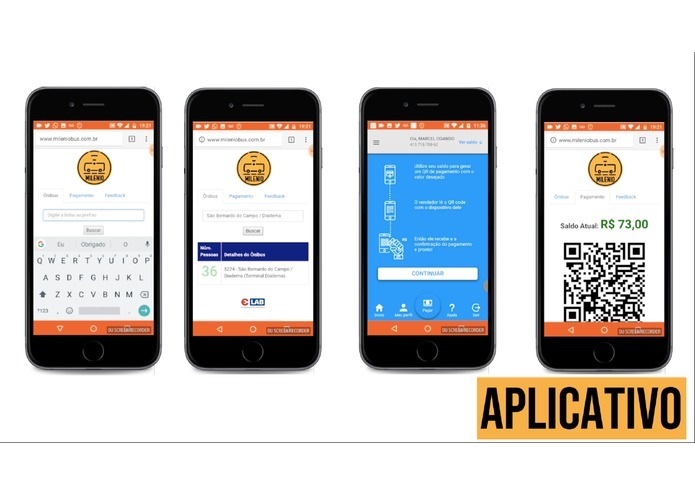 In addition, the project has direct contact with public transportation companies/concessionaires, which allows for faster entry into the market. We initially planned to test our prototype on EMTU buses to validate the solution and, after a pilot project, to expand to other cities. From this validation, we will present to other companies and diversify our customers. We also plan to expand our solution to other countries, henceforth a strong consolidation in several companies of our country. 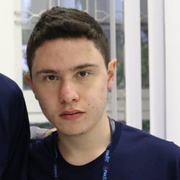 Engineer, Entrepreneur and participant of several events of entrepreneurship, hackathons and tech competitions in Brazil and in the world.